Distributed denial of service (DDoS) attacks have become a fact of life for any business with a web presence. Whether you’re an enterprise, e-commerce business, local organization, or government offce—it’s merely a matter of time before you’re going to have to deal with the inevitable DDoS attack. The question is what can you do before an attack so you can have adequate defenses already in place. 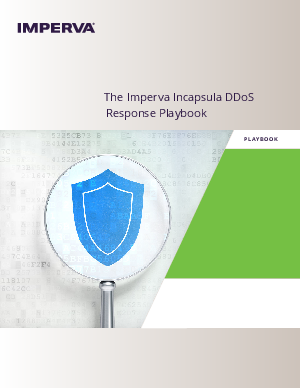 This handbook is a practical guide for planning and executing a DDoS response plan. It outlines pragmatic steps and best practices for choosing and setting up the right mitigation solution for your organization, how to authoritatively respond to an attack, and conduct a thorough post-attack analysis for developing follow-up defense strategies.